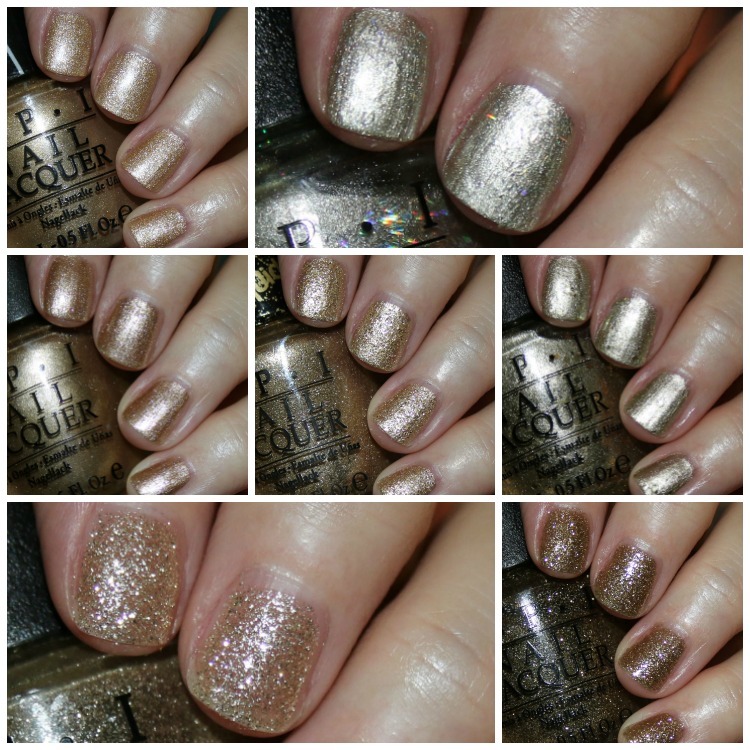 Hello there friends and welcome to my favorite gold OPI nail lacquer colors! Gold nail polish, whether it’s shimmery, mega-glittery or metallic, is a really great shade for this festive time of year. I used to never wear gold anything, but as I’ve gotten older I really started liking it. Especially super cool-toned gold colors. 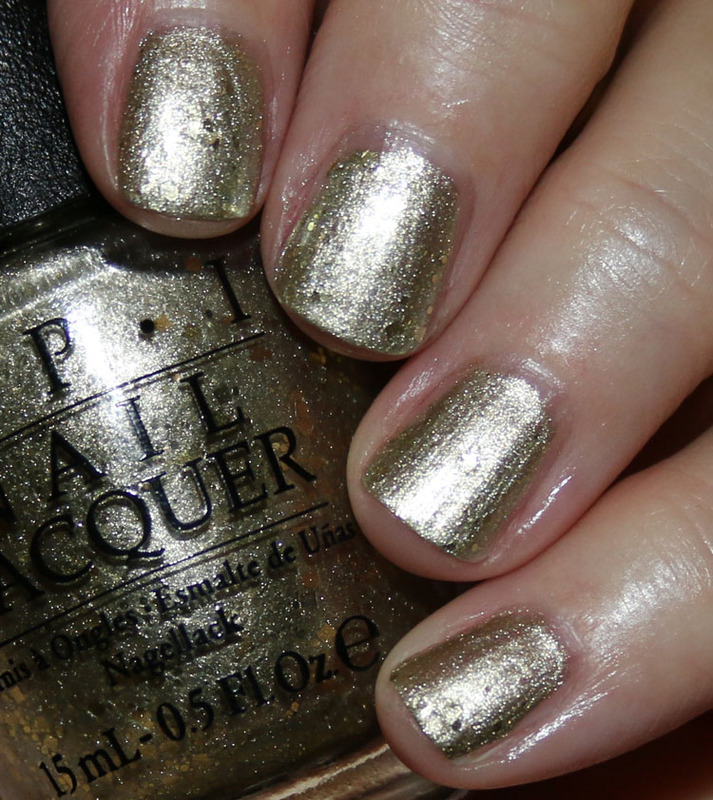 Love, Angel, Music Baby is a lovely gold metallic with a satin formula – meant to be worn with no top coat. Is This Star Taken? has a cool-toned *almost* silver base and then lots of small holographic bar glitter, which I usually despise, but here I don’t mind it. 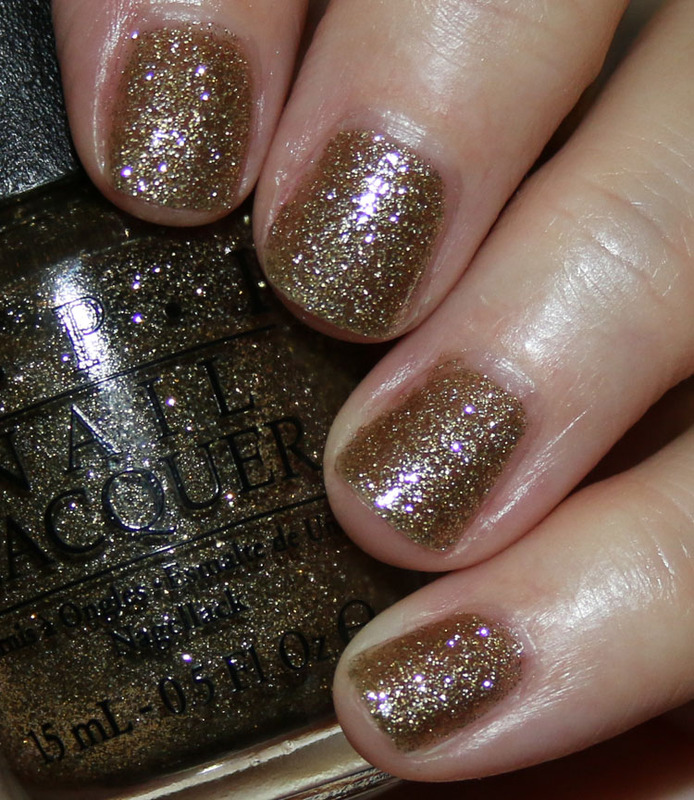 Glitzerland is a subdued metallic gold (almost bronze-y) with gold shimmer. Honey Ryder is a cool-toned gold Liquid Sand, which I really love. Baroque…But Still Shopping! has a greyish/gold metallic base and medium and micro pieces of gold glitter throughout. My Favorite Ornament is another cool-toned gold glitter, with a clear base, so it can be a nice topper for other shades also. 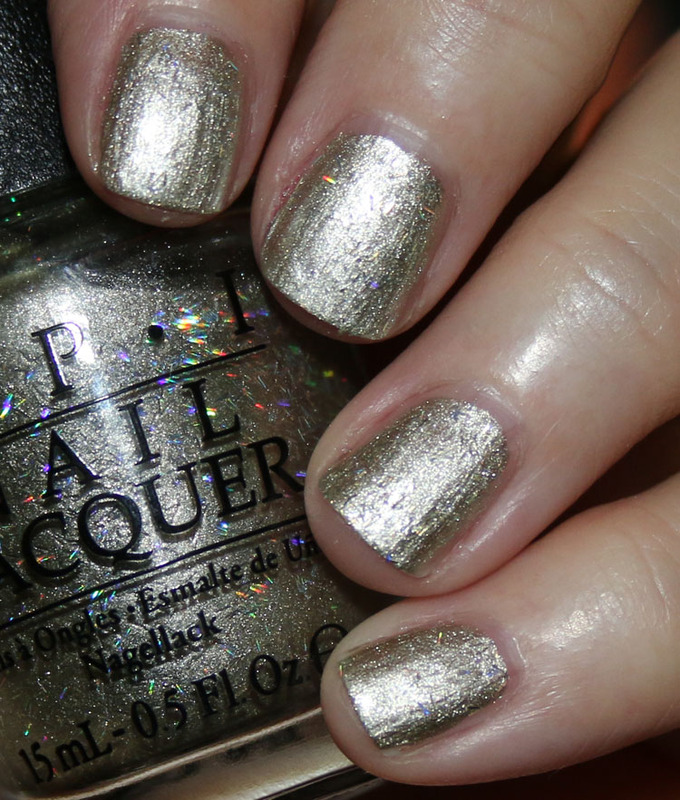 All Sparkly and Gold has a medium greyish/gold base and is packed with gold micro glitter. And there we are! 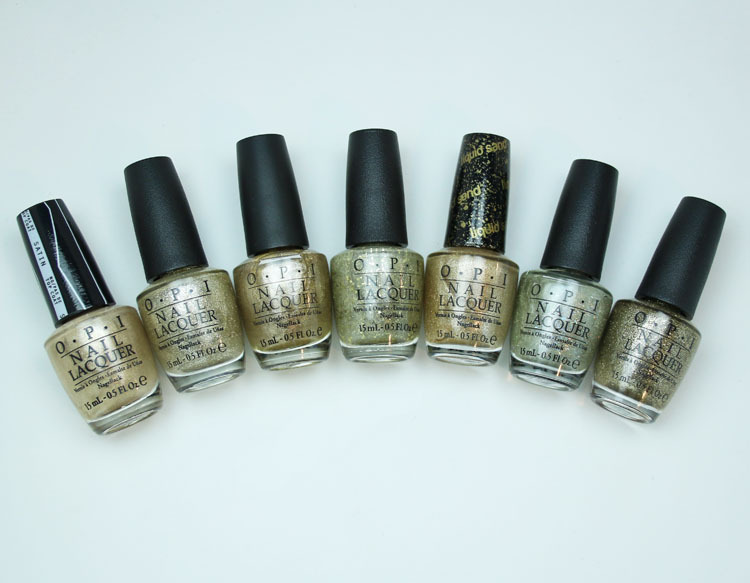 Which of these gold shades are you most fond of? These are all gorgeous! I especially love Love, Angel, Music Baby. That is amazing. All Sparkly and Gold, My Favorite Ornament & Glitzerland are absolutely perfect!!! I have My favorite ornament and I love it!